Simple yet stunning is what PlusSpec is for 3D designers and artists. This offers an easy and effective platform where designing seems as effortless as dreaming. This new update in the 3D world has started gaining responses from across the globe with all its right reasons including offering an effective 3D platform, making designs clean and comprehensive, and allowing everyone to sketch 3D and 2D designs creatively. With a promise to make you efficient and professional, the software ventured out a new journey in the 3D paints. By definition, it is a combination of most popular designing software like 3D CAD, Building Information Modeling (BIM), Virtual Design & Construction (VCD), Real Production Integration and Integration Project Delivery. This new software focuses on three major elements – designing, drafting and drawing, and communicating through designs. For any budding designer, this software proves to be a great help with its easy-to-use features and functions covering every need of today’s designers. 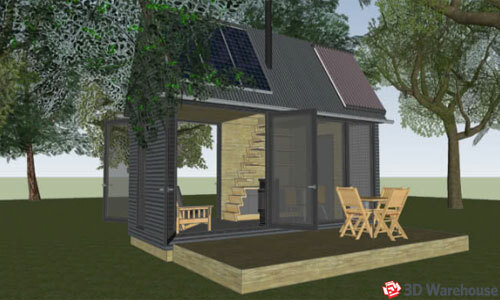 Designing with PlusSpec: SketchUp got a huge popularity because it saves time and cost of designing in 3D. This new addition follows the path of the former and brings in new tools that are magnificent and surprising for designers. PlusSpec is considered to be the only BIM software, with which you can design too. While the contemporaries of PlusSpec work as virtual drafting tools, it distinguishes from them for being a designing tool. It is no doubt to say that the software even suppresses the popularity of two renowned 3D Tools – 3D CAD and BIM. The maker revealed that it is the first VDC and designs customizable structure with adding sharp and sheer details. Drafting or Constructing 2D Drawings: Professional drawing is no longer a work of an expert, thanks to the PlusSpec and SketchUp Pro. You can transform your dream models in 3D as quickly and prominently as an expert does. Maintaining the desired accuracy, the software lets you construct professional drawings for clients and Construction Documentation (CD). PlusSpec exclusively produces a 2D drawing set bringing plans, selections, elevations and details. Your 2D drawing also changes with the models. It eventually enhances your focus more on designing rather than modeling and drafting. Communicate well with your designing intent: Communication through designs has become cleaner and more understandable for everyone. The tool is designed in such a way that you can eliminate the conventional designing error quickly and presents a design that communicates well with your clients. With 3D models of your construction, you will definitely stay ahead of others in expressing your designing spree. Cost effectiveness: Architecture can understand the budget behind designing 3D models. Added to this, the design is subject to change many times; thus, it enhances the cost also. Whatever you design in PlusSpec has maintained a strong accuracy and is qualified automatically. Offering a true value of 3D, PlusSpec is more than just a 3D designing tool. With an easy-to-learn ability, it welcomes everyone associated with the designing world to transform dreams into the sketches and lines of dimensions. Simple to understand and with a better communication approach, this tool foresees the future of 3D designing and gives a glimpse of the coming days. Limitless Computing Inc., the most recognized developer of 3D mobile Augmented Reality (AR), just declared that its SightSpace 3D Mobile AR apps is now compatible with Trimble SketchUp 2015 facilitating sketchup users to transform their models mobile easily and at the same time apply Augmented Reality to superimpose it onto the live camera feed through a gadget for getting the preview in realistic environment and real time. With the help of SightSpace 3D with AR, the users can integrate their digital models to scale produced in Trimble SketchUp as well as the Trimble 3D Warehouse, and Google Earth with a real world surroundings, in real time. Besides, the users can perform the activities like annotate, bookmark views, capture screenshots, and distribute notes and photos. 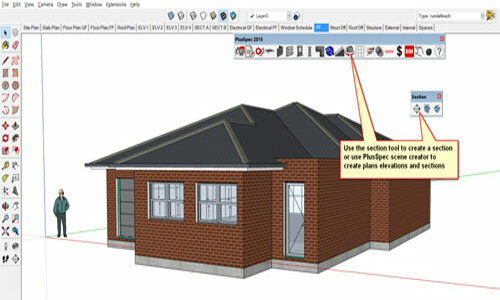 SightSpace 3D Mobile AR apps for sketchup 2015 is available in English, Spanish, French, and Chinese languages. There is a 14-day free trial of a SightSpace Pro subscription to provide highly developed features and capabilities along with attaching an external GPS for perfect AR, location markers for AR useful for inside application as well as photo markup and annotation, animated bookmarks, dimensions, and more. The users can also access the Apple and Android versions for $39.99. With Augmented Reality (AR) products for Trimble SketchUp, the users will be able to visualize buildings, materials, fixtures, and lot other before time through a mobile gadget and communicate scale and context efficiently, save time and money, and accomplish projects in quickest possible way by conveying designs to life in a real-world perspective.